SK Sweepers offer power and efficiency in a single engine design. 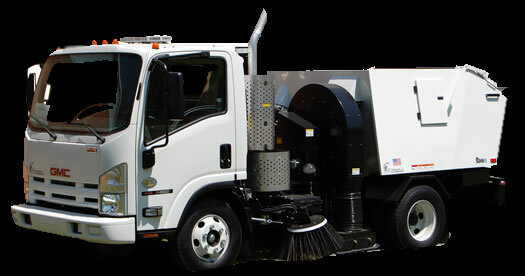 SK Sweepers are built to deliver value with fuel-efficient turbo diesel engine (Cab Over) or cost-effective gas engine (Conventional), heavy duty head and drag support arms, and a powerful blower with replaceable lining. 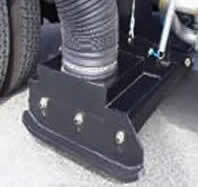 Weather-proof fittings and hermetical seal with more stainless steel make SK Sweepers the right choice for any climate! 3 Year limited warranty on hydraulics pumps and motors. 1 Year warranty on sweeper components (does not include wear items). at a Price You Never Expected! Silent Knight means value. 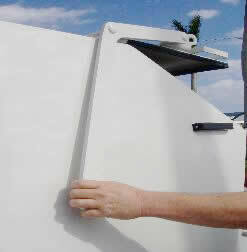 Our affordably priced sweepers do the job quickly and to your complete satisfaction. Simple sweeper controls, long-lasting gutter brooms and an optional water system are some of the many features that give you a sweeping advantage! Call us now to discover how an SK can make your business more profitable while saving you time and money!